Bryan Estepa-Heart vs Mind. Aussie Bryan Estepa has become one of the more consistent power pop artists on the globe today, not unlike his compatriot and sometime collaborator Michael Carpenter. And like Carpenter, Estepa's brand of pop has a subtle country-rock influence underpinning its sweet melodies and catchy tunes. 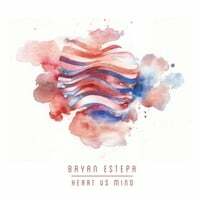 On Heart vs Mind, Estepa's fourth album, he delivers a somewhat more laid-back sound than before, evident from the start with "(If You Follow) We Might Just Get Near", a track that would have sounded at home in the early 70s alongside Bread and Poco. "Seachange", the first single (or promoted track) from the album, is another mellow gem with an easy melody. The guitars get louder on "Them Fighting Words", "In a Minute" is first class uptempo pop, and "Nothing at All" is an exquisitely-crafted ballad. If you enjoyed Estepa's previous albums, this one's a must, and if you're new to him this ain't a bad place to start. 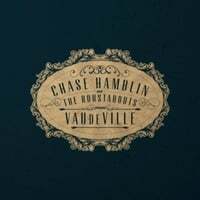 Chase Hamblin & The Roustabouts-VAUdeVILLE. Chase Hamblin's debut EP was a slice of trippy, baroque pop so it's no surprise that his debut full-length with backup band The Roustabouts is a full-on evocation of Vaudeville as its title indicates, complete with intermissions and reprises. But for one like me whose view of concept albums is that having 8-12 good songs is the only concept I care about, the burning question here is are the songs any good? Fortunately the answer is "yes". "Can You See the Beast?" is a rollicking opener that sets the tone, "Beautiful Things" is top-notch Apples in Stereo-styled pop with playful keyboards, "Quiet Life" sports a bit of honky tonk, and "I've Got a Brain" is playful pop that recalls The Format. And the whole thing does cohere, so there's no need to gong them off the stage or pull out the hook.